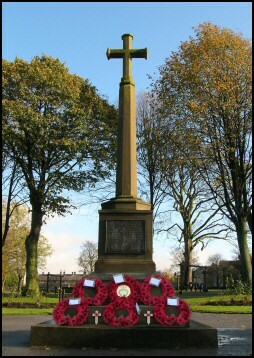 Saturday the 19th of March 2011 marked the 90th anniversary of the dedication of the War Memorial in Sutton Park. As a tribute to those who were killed in the Great War, Andrew Monkhouse has researched the lives of the soldiers and has produced a detailed profile for each. The profiles are available to download in PDF format by clicking on each soldier's name in the list above. Since then, Andrew has continued his research and identified a further 11 soldiers whose names were omitted from the original memorial. On the 4th August 2014, the centenary of the outbreak of the Great War, a plaque provided by Robert Smith containing the additional 11 names was added to the War Memorial. The commemorative booklet distributed at the unveiling ceremony is available for download. Andrew has also produced a statistical summary listing those killed ordered by age, date of death and address in the village. Click here to download the statistics in PDF format. As other names are identified, Andrew will create new profiles to add to the site.